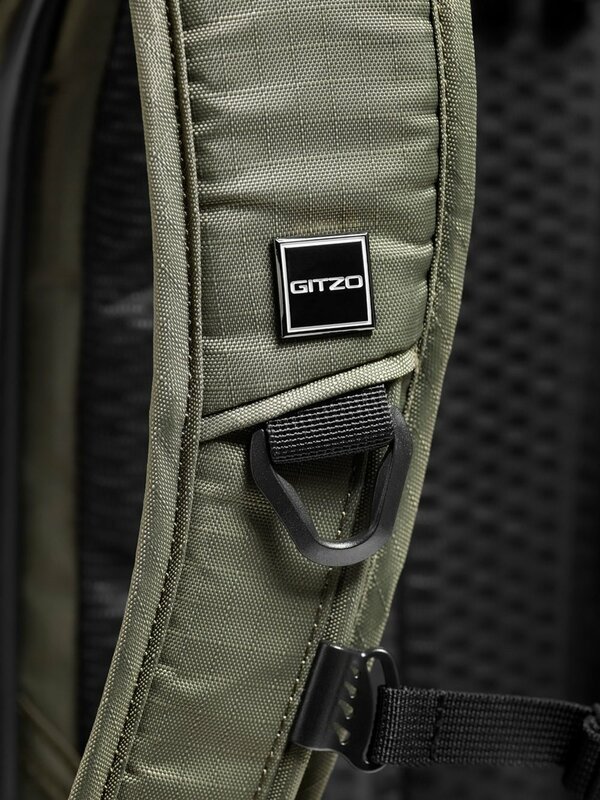 This backpack from Gitzo is part of their 'professional line' of bags designed at the landscape, wildlife or travel photographer on the go. It's a serious bit of kit that is well worth your attention if you want a bag you can fit nearly everything you'd ever need into - including clothes!! So, let's go from the top...Firstly, I haven't spelt it wrong it is actually called 'Adventury' - not 'Adventure' or 'Adventurer' etc. I have no idea what Adventury means or even if it's an actual word but I'm happy to let that one slide. Funny name aside this is a serious bit of kit. As soon as you unpack this bag it feels like all the material, zips, straps etc are of a really good quality. 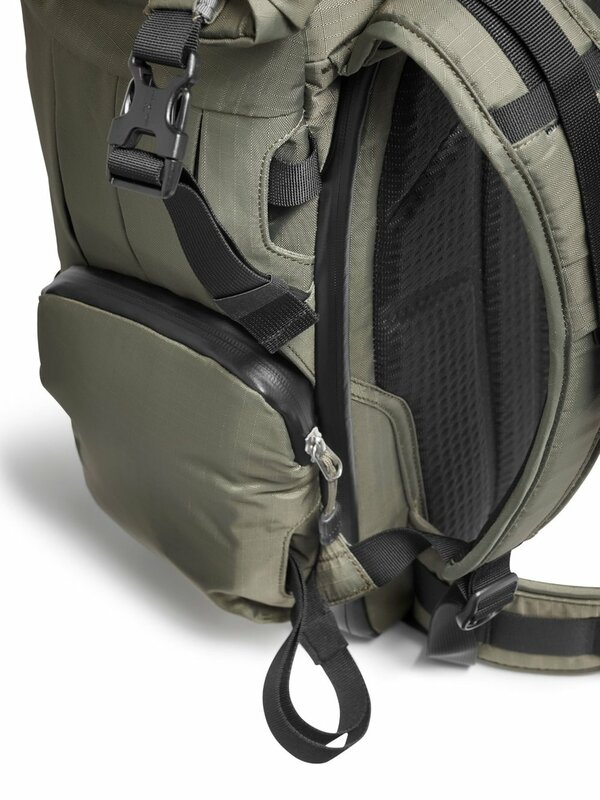 You would hope so for the price (circa £219), the padded shoulder straps feel comfortable and they are attached to the body with a broad stitching design to make sure the weight is evenly spread and that over time the straps don't start to come away from the body. The colour is no doubt for the wildlife guys in that it's a 'natural' green that might offer some form of blending in. Whenever you get any new bag like this it's always about 5 minutes worth of zipping, unzipping, velcro push and pulling to work out what goes where and then you realise just how many spaces, pockets and storage compartments this bag has. The core design is based around the inner 'pack' which is a padded standalone pouch (they call it a Gitzo G-Cushion) in which all your camera bodies and lenses would be stored. It has inner dividers which can be removed and replaced to suit your set-up. "Thanks to the new GITZO G-Cushion, the pack safely protects a pro DSLR (such as a Canon 1D X Mark II or Nikon D5) with a 70-200 mm f/4 lens attached and a second camera body plus up to 4 lenses or up to 400 mm f/4 lens detached, a camera body and a couple of lenses or small accessories. Thanks to the interchangeable dividers, it can also fit a full premium CSC set up (such as Sony Alpha 7/9 Series) plus foldable drone and remote control with accessories (i.e. DJI Mavic Pro series)." The other point of note on the inside is the laptop pouch (or double pouch) which allows you to slide in a 15" laptop and potentially a tablet or book etc. That's the inside covered, my only criticism at this point would be to do with accessing the inner 'shell' (i.e. its a padded shell that sits inside the bag so you could remove it just to have a big open empty bag). My issue is that whichever way round I positioned the shell I always found it a bit fiddly to get to the zips quickly and easily. So, at this point I mean you've opened the main back flap of the bag and now want to access your gear in the inner shell. For some reason those zips seemed to sit underneath the overhang which meant you had to essentially do the unzipping 'blind' or pull the shell down to see what you're doing. I tried a few different orientations of this but it kept cropping up as a slight annoyance. It may have been me being dim and I'm happy to hear other opinions on this if you've tried/own the bag. As mentioned previously the quality and padding of the outer straps felt very good. I tried this bag over a couple of hours walking over moderate terrain and it felt extremely comfortable. The weight is well distributed AND for once the mid waist strap actually felt like it was (a) working correctly to balance the weight and (b) not just cutting into my stomach area. There are side pockets which come in handy for a water bottle, set of car keys, snack, mobile phone etc but the big feature for me is the top pocket/pouch which extends if required to take a small selection of clothing or extra gear. 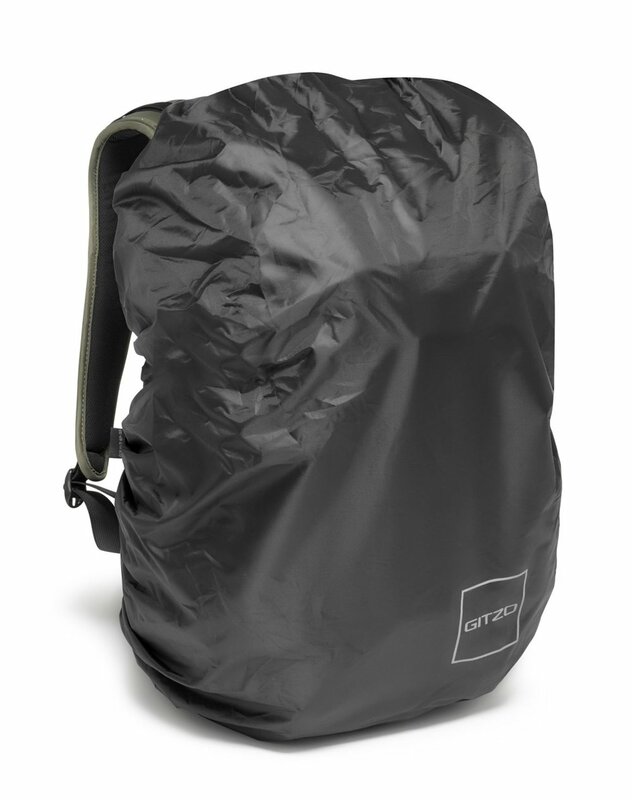 The fabric is water repellent and the bag features coated zippers and a coated bottom, so along with the rain cover it would be pretty water resistant as it is and could be stood on some wet grass etc without any issues. In the image above you can see the bag with the top pouch extended. I actually think this is a great little addition to the bag and it means you could potentially get away with putting a change of clothes in there and using this as a legitimate 'weekend away' bag or for an overnight camp, without having to cram anything in somewhere obscure, or indeed without having to take another bag. 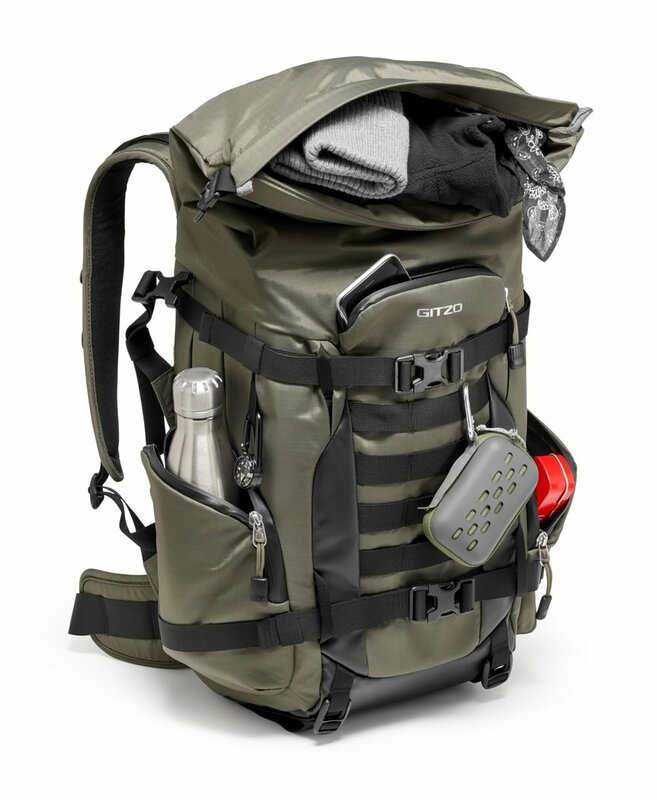 Like many bag makers Gitzo show the bag with a tripod attached to the outside, either on the side or on back as shown below. Personally I never find this works particularly well on most bags as it tends to just really pull everything down and the straps look very strained even with a modest tripod but actually to be fair it did work pretty well on this bag with a mid-weight tripod during my test, so top marks on that Gitzo. As you would expect the bag comes with a cover to protect against inclement weather (or dust/sand etc) and I've included a couple of extra images below to show some of the detailing and a good view of the back of the bag. 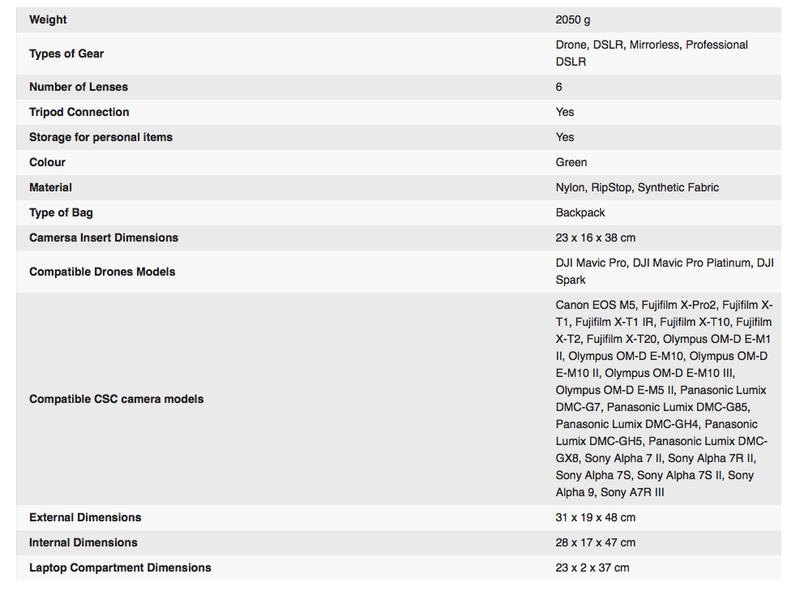 Rather than bore you senseless I've attached an image from the Gitzo site which has all the relevant info on weights and which cameras it will suit. So, I guess it comes down to: "Would I buy this bag?" The short answer is no - however I should point out this is nothing to do with the quality, comfort, feel or even usability of this bag. It's simply that I prefer to travel quite a bit lighter. I don't carry anything over 200mm, I don't tend to need clothes with me, I don't even usually hang my tripod off my bag. And with all this in mind this bag would be 'overkill' for my needs. However, if I was into wildlife photography, or indeed if I just liked to go out with more than 2 lenses, and/or had a drone I carried etc then this would be a serious option to consider. I get the feeling it would stand up well to all the elements the weather could throw at it and that the actually finishing on the bag is of a high quality. It also comes with a 5 year extended warranty when you register the purchase with Gitzo. So, if you're after something that literally can take 'everything' you own, but won't feel like you're carrying everything you own then this is well worth a look!